Getting the perfect nursery set up is a balancing act. Getting the perfect nursery set up is a balancing act. You need the baby to be comfortable, but you also need to balance adult comfort. You want to have everything handy and close, but you don’t want it to look cluttered and dirty. When designing your ideal nursery, you need to focus on what you’re actually going to use and need. I hope this article helps remove some of the unwanted stress of setting up your baby's room. First and foremost, you should pick a theme that can grow with your child. You don’t want to spend a chunk of money every time your child hits a new age milestone. You can save money by searching yard sale sites for furniture that the child will not use for very long. You should try to have one focal point in your nursery. This can be anything from a nicely-decorated crib to a beautiful wall ornament. Just remember to make the crib baby-safe before using it. An area rug can also make a great focal point. An added bonus to an area rug is the extra cushion for when your baby starts learning how to sit up. 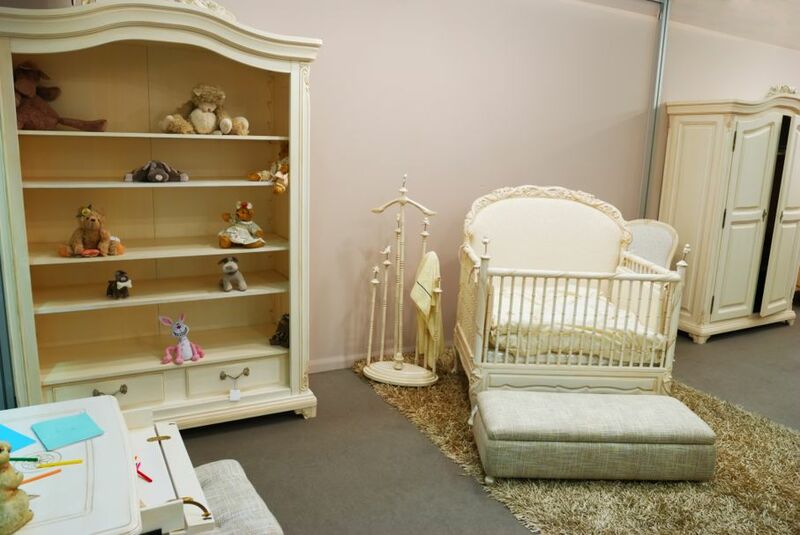 Try to pick a focal point that you will be able to reuse when you upgrade your nursery to a toddler room. I love the idea of having chalkboards in the baby's room. This is a perfect way to track milestones and scheduling without having loose paper everywhere. You can also put one level with where a toddler will be. Then they will have a fun coloring center when they get older. Don’t go overboard with the chalkboards though. One or two should be enough. Try to watch for dust buildup or allergic reactions in your child. We also used letters from the craft store to spell out our child’s name and hang them on the wall. You can even attach ribbons to hold hair bows if you’re having a girl. Having some sort of wall decor is a great way to have a focal point that does not clutter up the room. If you have shelves for books, you can use toys as decoration and bookends. As the child grows, you can add or take away whenever you need to. It does not matter how much space you have in your nursery, you’re going to want to invest in some sort of storage containers. This can be anything from baskets to a dresser. You will need space for clothes, diapers, and wipes. A trash can or diaper pail will also come in handy. Babies need a lot of supplies and you don’t want them just sitting out. Try to hide diapers and wipes close to the diaper pail for easier access. If you have a diaper changing station, you need to keep everything within arm’s reach. Babies are wiggly and need to be watched while on the changing table. You should also make sure that your nursery can feel like night time at any point. This can include investing in blackout curtains and a noise machine. It is much harder to get a baby to sleep if the room is bright and outside noise is too loud. You don’t want your nursery to be dark all the time though, so make sure that you can still allow light in when you want to. When you’re setting up your nursery, you need to think practically. You’re not going to want the room all the way across the house when the baby wakes up in the middle of the night. 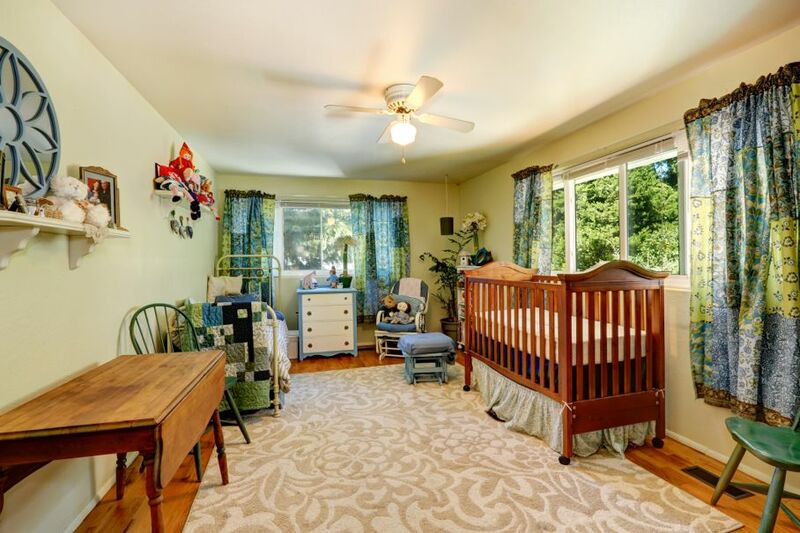 If possible, put the nursery close to the master bedroom. Also try to make sure that the room is not in a high-traffic area of your house. The baby will have a harder time falling and staying asleep if they can hear people outside their door. I hope your nursery turns out beautiful and is filled with the sound of children's laughter soon!